Low-profile sole in the form of a slip-proof balance. 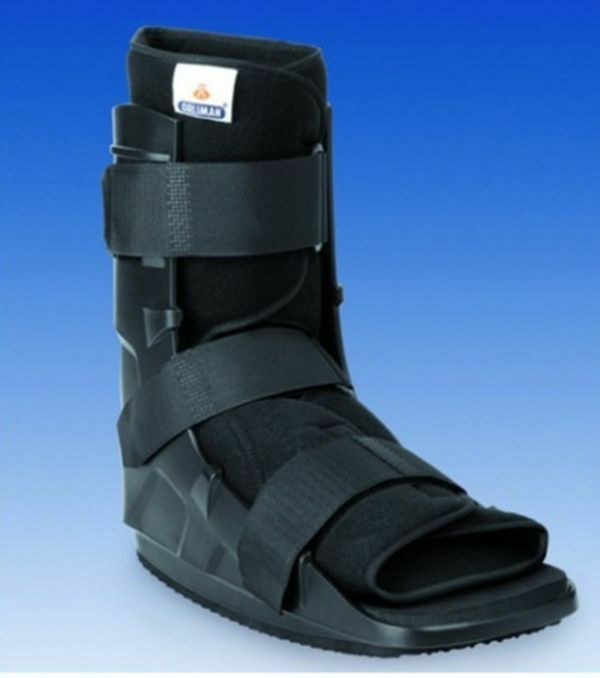 A single piece, light, resistant design with open heel and fastening straps for circumference compression. Transpirable material covering pad for the leg, foot and ankle, tibia and calf protection plates. Low-profile sole in the form of a slip-proof balance.